Yves and Elisabeth Ogrodzki worked in and ran restaurants in places like Paris and Nimes in their native France, before moving to England and opening La Table d’Yves in Leicestershire in 2005. 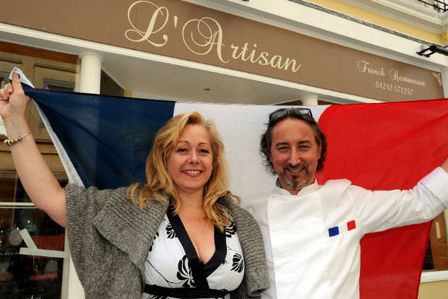 They now run L’Artisan in Cheltenham, one of the most popular French restaurants in the Cotswolds. We caught up with Yves to discuss his passion for his work. When did you realise you had a talent for cooking? What was your first job in a kitchen? “I left the national service and wanted to get back into cooking, but it’s like learning a new language, you always need to practice. I worked front of house and was managing a restaurant in Paris, and I told my friend who was head chef that I wanted to get back into the kitchen. What’s your favourite dish to cook or eat? Are there any chefs or recipe books you take inspiration from?